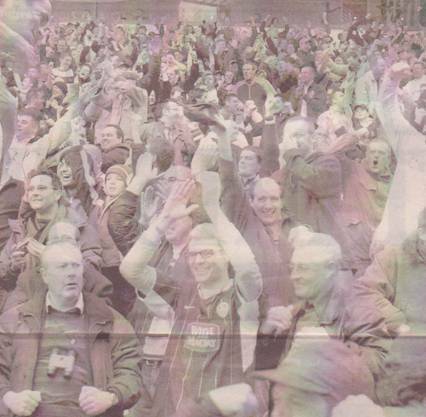 Date: Saturday, 10th April 2004. 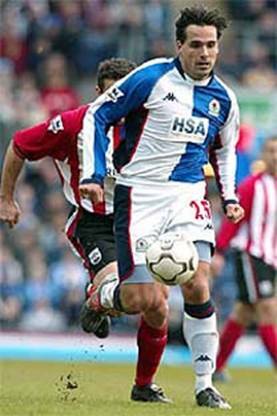 Scorers: Blackburn Rovers: Short. 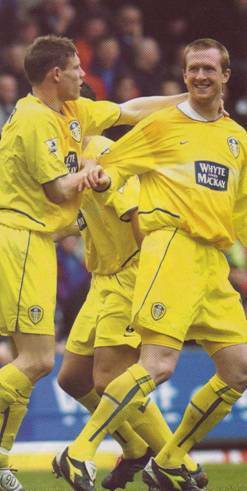 Leeds United: Caldwell, Viduka. 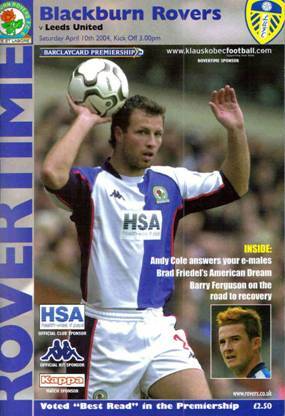 Blackburn Rovers: Friedel; Neill, Amoruso, Short, Gray; Emerson, Flitcroft, Tuguy, Reid (Gallagher); Cole, Stead (Jansen). Unused Subs; Todd, Andresen, Enckelman. 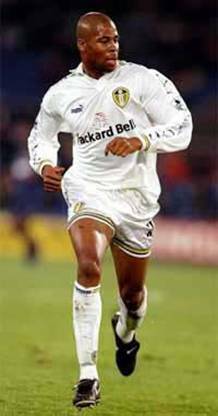 Leeds United: Robinson; Kelly, Caldwell, Duberry, Harte; Pennant, Matteo, Johnson (Bakke), Milner; Smith (McPhail), Viduka. Unused Subs: Radebe, Simon Johnson, Carson. 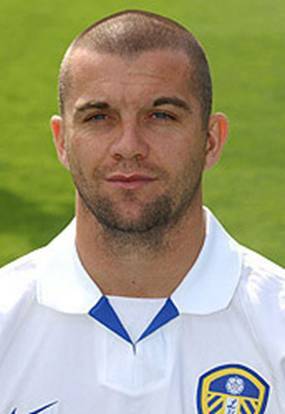 Referee: Mr S. Dunn (Bristol, Gloucestershire). This was a game when, for a fleeting moment in time, it looked as if United would survive against all the odds as the outstanding win took United level on points with their hosts, who were sixteenth on goal difference. Unfortunately, that was as good as it got. The gloves were off and the battle for survival was well and truly underway. 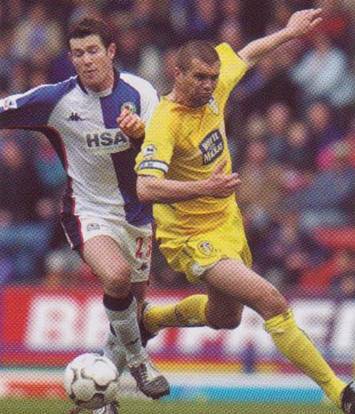 Eddie Gray's Leeds United freedom fighters showed all the spirit required to throw themselves a massive lifeline with a priceless victory against fellow strugglers Blackburn Rovers. 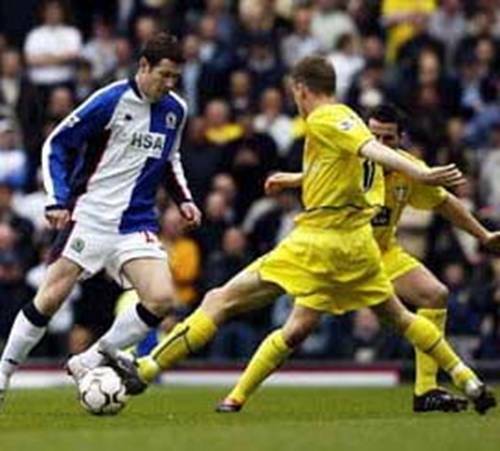 And if Leeds United had been able to secure their Premiership status they would have looked back to the Easter Saturday showdown at Ewood Park as they day when they finally signalled their intentions and gave firm proof of their desire to stay in the top-flight. 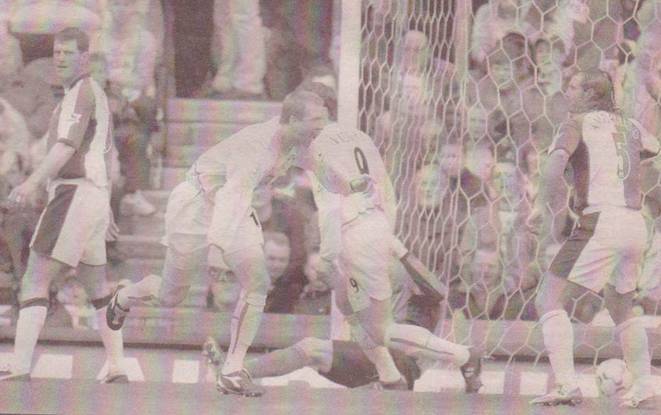 This was a vital win against a side who were now in even deeper trouble than Leeds near the foot of the division. 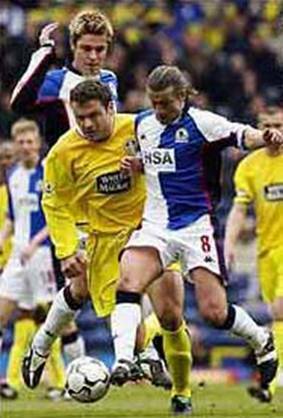 The two sides were left level on points and Blackburn boasted a better goal difference, but it was questionable whether they would have the stomach for the fight which lay ahead. 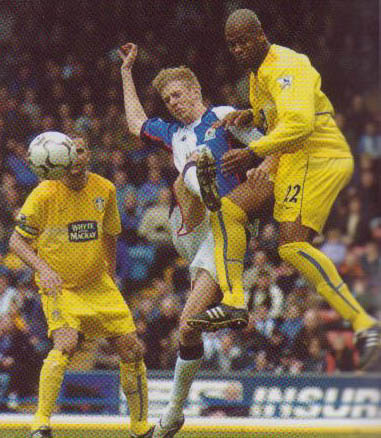 While Leeds snapped and snarled, and hustled and harried, Blackburn whimpered. They lacked desire and failed to show the kind of passion needed when you're in a fight like they were in. 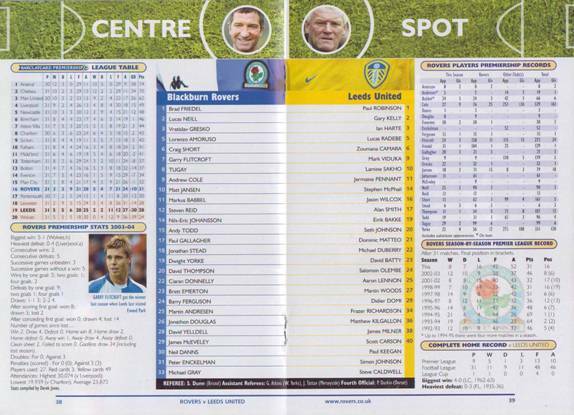 There was only one team rolling over and dying on Saturday – and it wasn't Leeds. 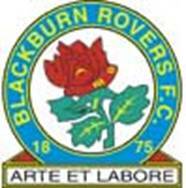 Hapless Blackburn were the victims of a classic away-day performance. 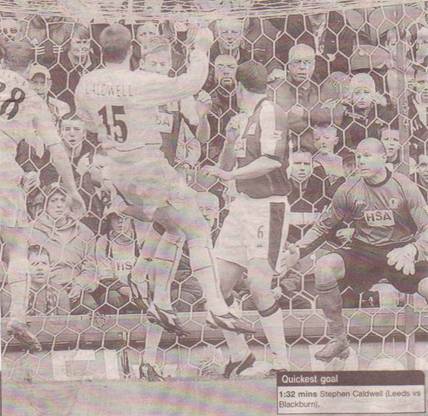 There was an early goal. 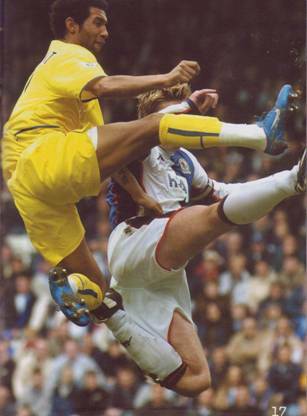 There was a good rearguard action. There were a handful of chances to extend the advantage. 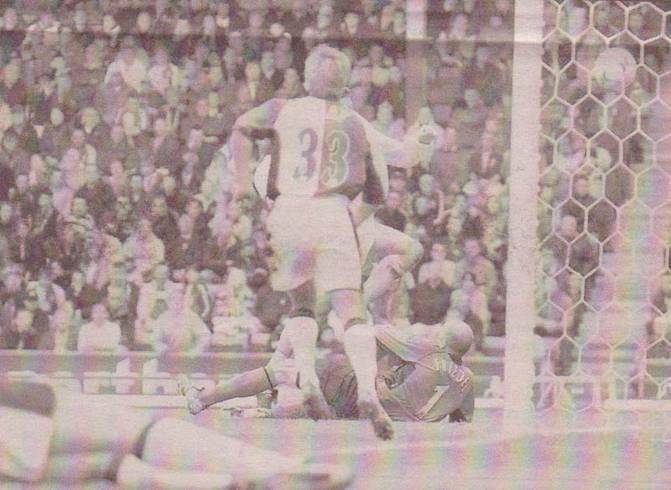 Then there was the odd nervy spell and, finally, a late goal to secure the points. Had it been Arsenal or Manchester United, it would have been hailed as a great away display. 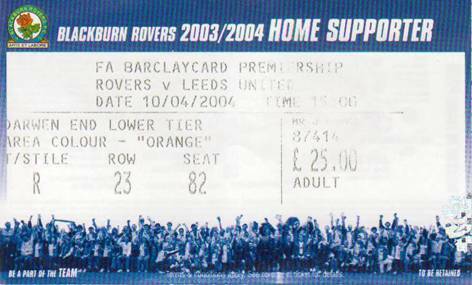 As it was Leeds, against a poor Blackburn side, they probably would not be given the credit they deserved. They showed guts and courage and, even though it was getting late in the day, there was enough passion on show to suggest that a great escape was more than a distinct possibility. 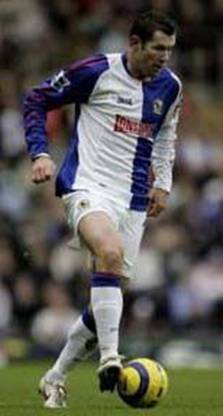 The central characters in the latest twist in the tale were Steve Caldwell and Mark Viduka, who bagged the necessary goals to see off beleaguered Blackburn. 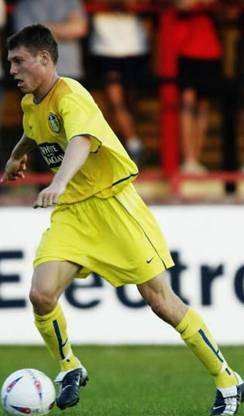 But commander-in-chief, Eddie Gray, and his trusty lieutenant, Kevin Blackwell, needed to look no further than Captain Dominic Matteo as the inspiration behind the success. 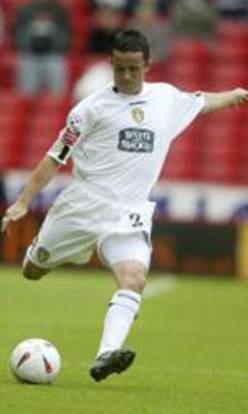 The skipper was simply awesome in making sure Leeds stamped their authority in the middle of the park. 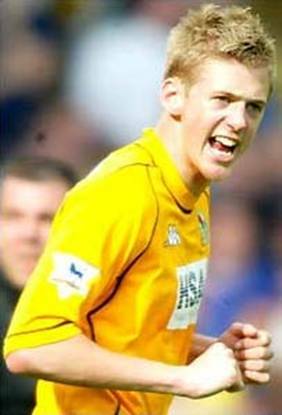 He broke play up repeatedly and, along with Seth Johnson, ensured that United were always in control in the middle. 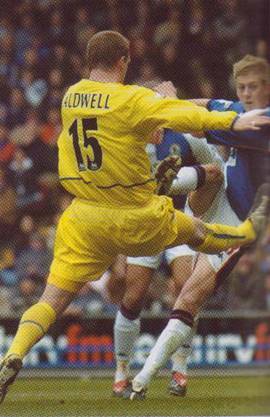 Control was important in such a crucial game and Steve Caldwell's early strike killed off Blackburn hopes. 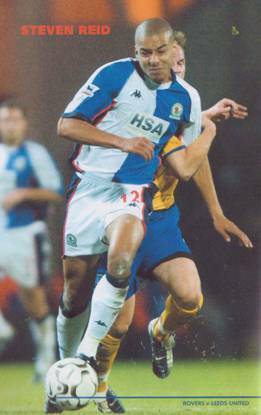 His second minute header, yet another product of a well-rehearsed set-piece involving Jermaine Pennant and Gary Kelly, gave United just the boost they needed and left Blackburn with a mountain to climb. 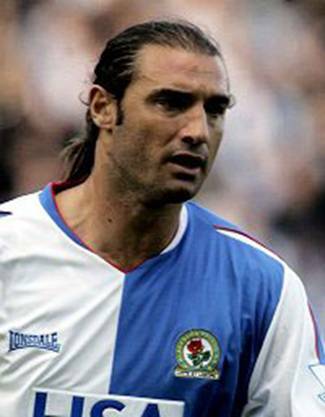 Lorenzo Amoruso, whose man of the match award must have been won solely by virtue of the fact he didn't surrender as easily as some of his team-mates, berated his fellow defenders while, at the other end, Andy Cole showed all the signs of a disaffected striker by skulking around. 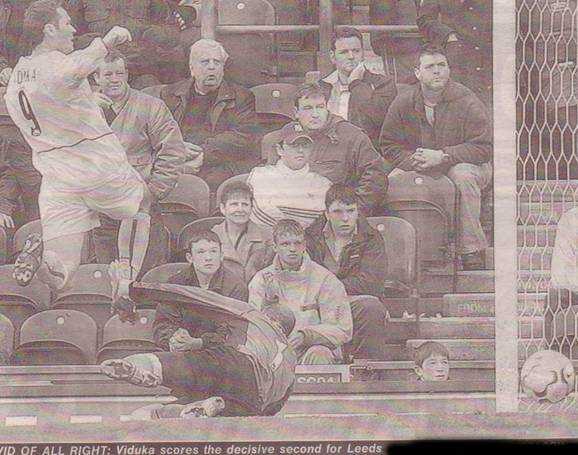 It was a familiar scene for Leeds fans, who had questioned their own players at times this year. 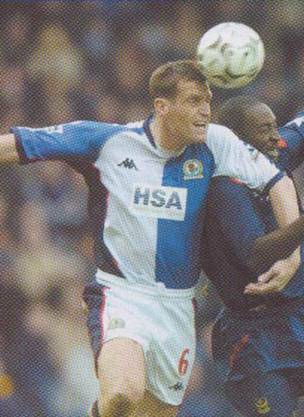 Blackburn had the quality, but played with a real lack of confidence and looked frightened to touch the ball. 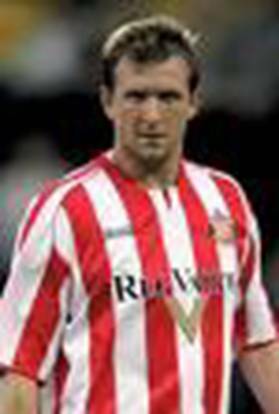 Their final ball was poor and they lacked quality and inventiveness. 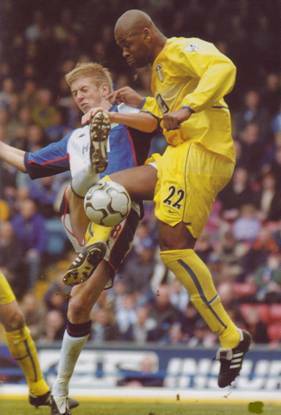 Dominic Matteo and Seth Johnson harried in the middle while Michael Duberry and Steve Caldwell stood tall and firm at the back. 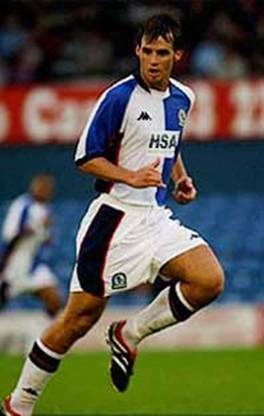 Former Huddersfield starlet Jonathan Stead was Blackburn's most inventive player, but he looked like a little boy lost in the heat of a battle against two centre-backs who were twice his size. It was Leeds who were the more composed and while Blackburn enjoyed plenty of possession, mostly passing the ball in circles without any inspiration, United always looked the more likely to score. 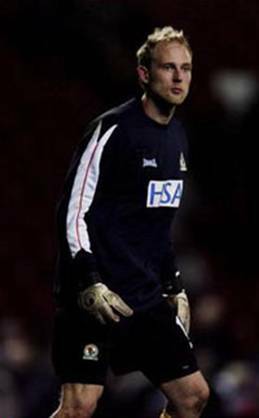 Gary Kelly and Seth Johnson fizzed efforts wide while Alan Smith was denied by Brad Friedel. 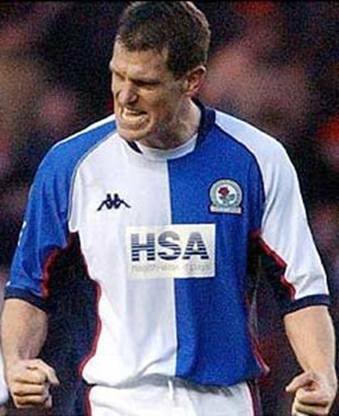 It was also Brad Friedel who pulled off an absolute stunner in the second half to deny James Milner and it was only then, with less than thirty minutes remaining, that Blackburn suddenly woke from their slumbers and realised the importance of the afternoon. 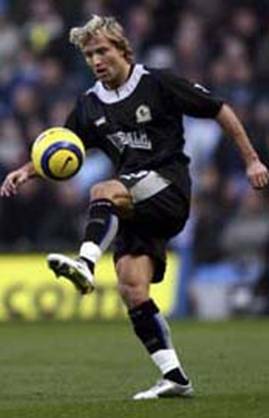 Andy Cole looked alive and well after strolling around ineffectively and it took a couple of late blocks and one world class save from Paul Robinson to keep the hosts at bay. 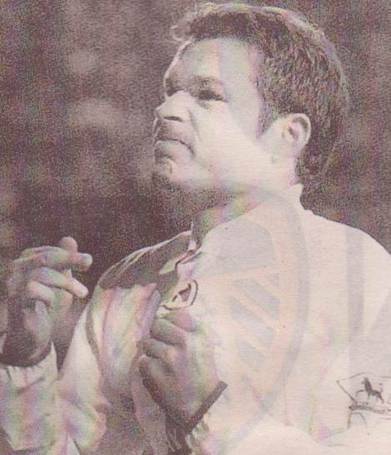 Leeds had another chance to seal the game when Mark Viduka shrugged off Lorenzo Amoruso, but the big Aussie just squirted his shot wide of the mark. 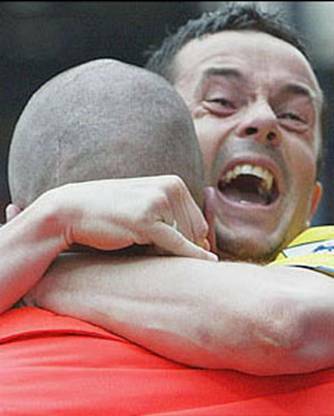 It was all too much to take for the travelling fans, but United finally made sure with two minutes remaining. 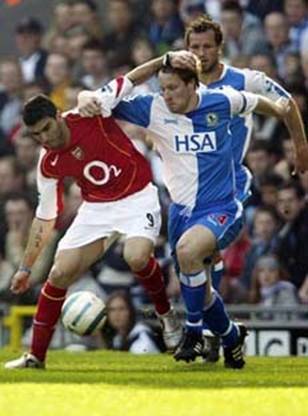 Jermaine Pennant broke away from inside his own half, Alan Smith turned his low cross towards goal, and the rampaging Mark Viduka lashed it past Brad Friedel. The emotion was unbearable. 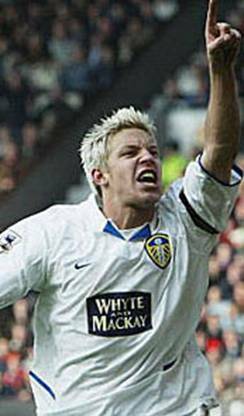 Jermaine Pennant jumped straight in with the fans, Alan Smith raced to join in the celebrations, and Mark Viduka looked an emotional wreck as he turned his back on the goal. That was it. 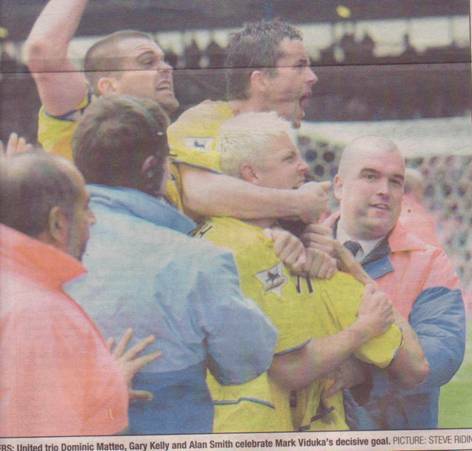 Leeds had got the win they needed and, once again, manager Eddie Gray punched the air with a mixture of relief and delight. 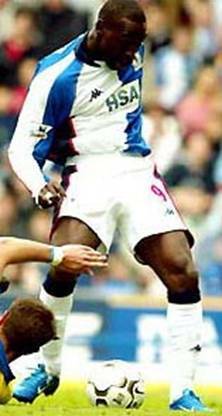 The Blackburn fans reacted by throwing shirts on to the pitch as they left the ground in disgust. 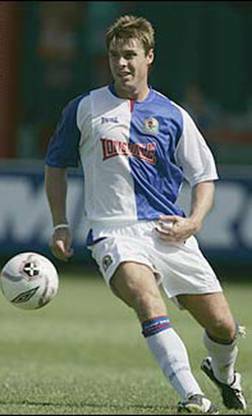 There was still time for one last twist and Craig Short, Blackburn's most determined player, was rewarded for his non-stop effort when he headed home a consolation goal deep into the six minutes of stoppage time. 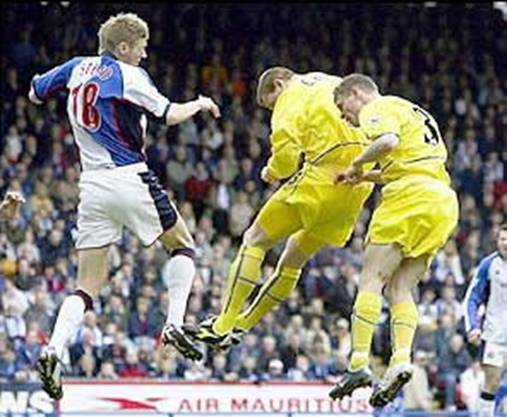 It was too little too late and United left Ewood Park boasting their first double of the season, their first back-to-back wins of the season, and their first victory in that yellow shirt. 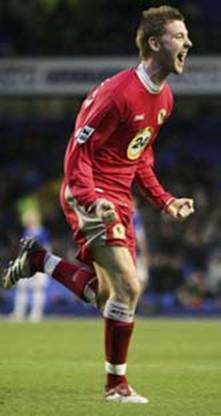 But, more importantly, it's a proper foot on the ladder and it was now all to play for as United prepared for another energy sapper against Everton on the following Tuesday. Could they do it? 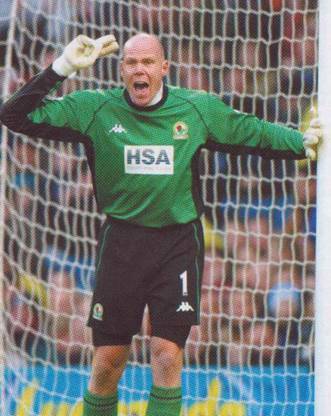 There was every chance, at that moment, but it was an exceptional goalkeeping performance by Nigel Martyn that stopped United gaining the full points their display had deserved and after that it became just too much.